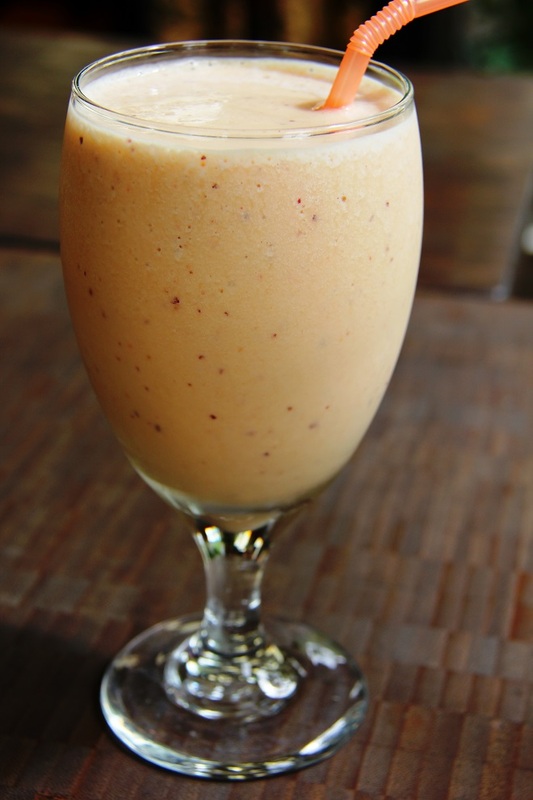 Protein Packed Peach Smoothie: Goodness On The Go! 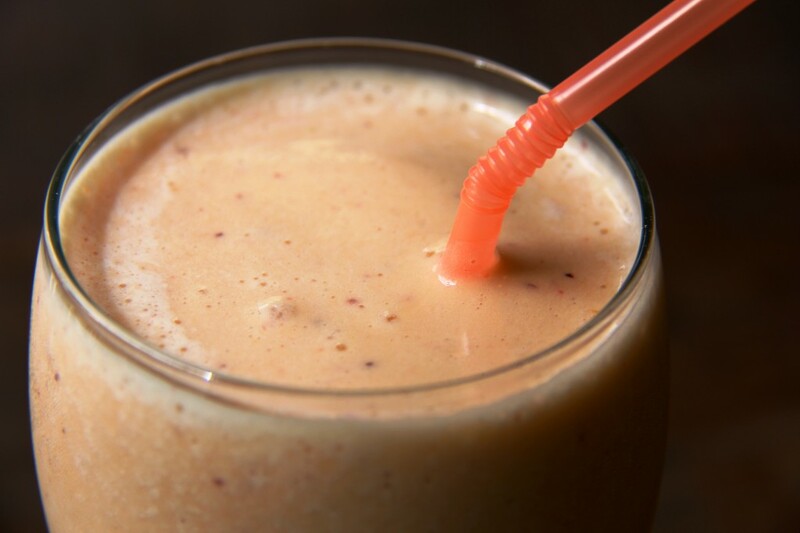 You'll want this yummy protein rich peach smoothie that can refuel you after a hard workout, serve as breakfast on the go or after school snack! Looking for a great post workout treat that won’t undo all your hard work? Eating protein withing 30 minutes after a strong workout will feed your muscles and give you a boost at the same time. With a double whammy of protein from both protein powder and protein rich Greek yogurt, this protein packed peach smoothie is a healthy and delicious answer… not to mention a yummy breakfast on the go and after school snack for munchy little kiddos! Looking for a great post workout treat that won’t undo all your hard work? Eating protein within 30 minutes after a strong workout (see a great article here) will feed your muscles and give you a boost at the same time. With a double whammy of protein from both protein powder and protein rich Greek yogurt, this protein packed peach smoothie is a healthy and delicious answer… not to mention a yummy breakfast on the go and after school snack for munchy little kiddos! Protein rich peach smoothie that can refuel you after a hard workout, serve as breakfast on the go or after school snack. Place all ingredients in a blender, cover and blend till smooth. Serve immediately.